Training a dog to stay can be tough but this pose pack will have your dog snapping to attention on command. It includes 4 poses and has a pose list. This is all of the poses and their names in case you don't want to use the pose list. 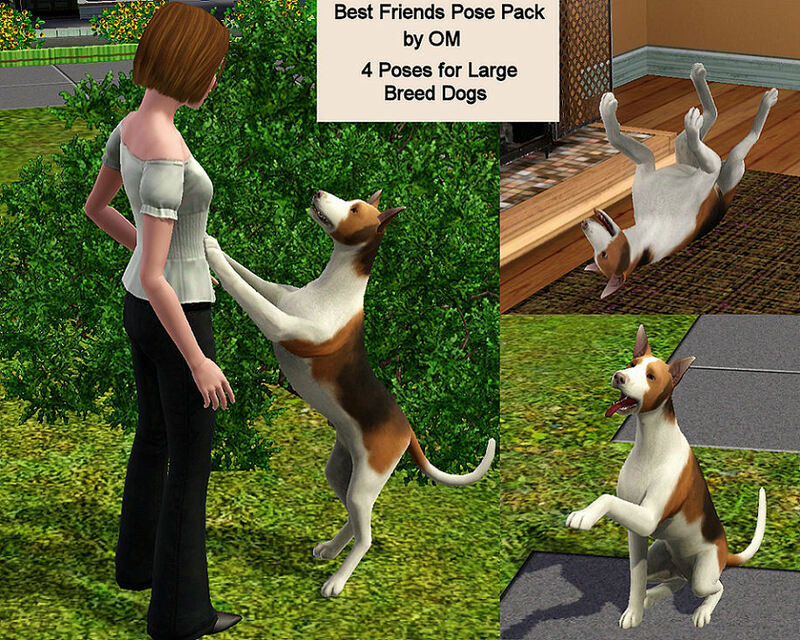 You will need the updated Pose Player and a large breed dog for the poses to work correctly in your game. 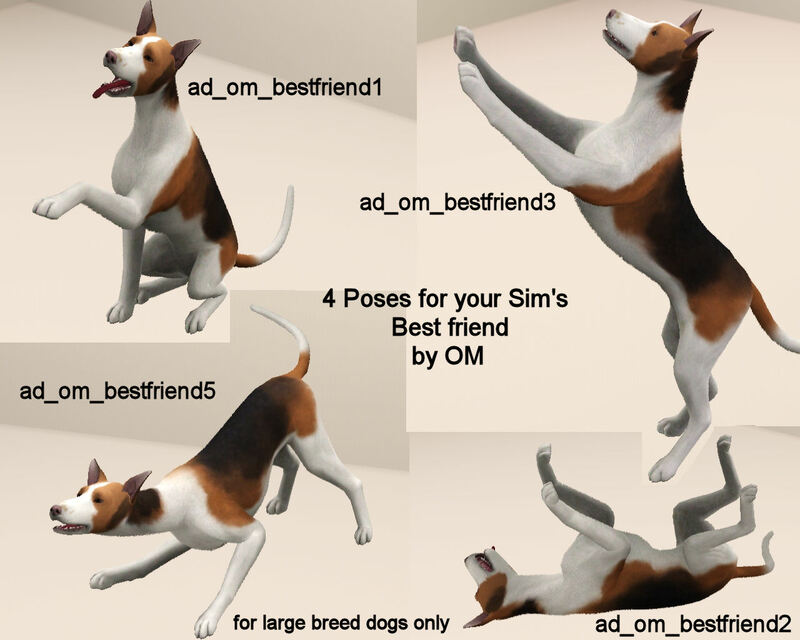 If you try the poses on a small breed dog the pose will not show up and your dog will become stretched. To install just place the pose.package into your mods folder. When you enter the game have your dog click on the Pose Player and select the pose you want just as you would if it were a Sim.